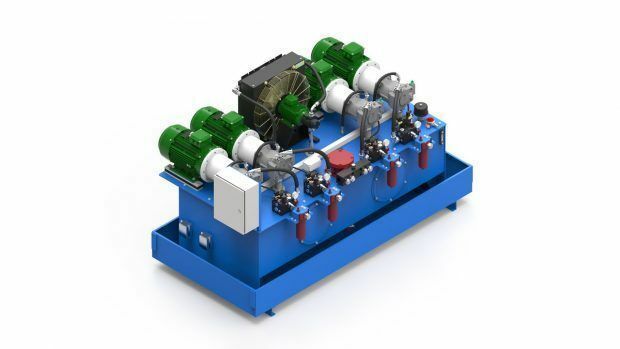 For a project concerning the sound reduction in the offshore wind turbine foundations, Holland Hydraulics B.V. has developed a hydraulic system with three winches. These threefold winches haul and lift sound reduction curtains synchronously by means of a perfectly regulated flow divider. The winches are remotely and wirelessly controlled.